Most eCommerce owners have, at one time or another, tried email marketing. A majority of owners who start email marketing, start strong, but then get discouraged or busy with the day-to-day business tasks, and the emails quickly drop off. What these owners don’t know, is that an effective, well thought out email marketing plan is not only worthwhile implementing, but it actually has the potential to drastically increase revenue, in some cases up to 30%! 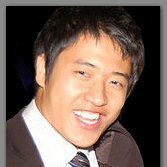 Xiaohui Wang or X, as he is more commonly known as, is an email marketing genius (just like this guy). 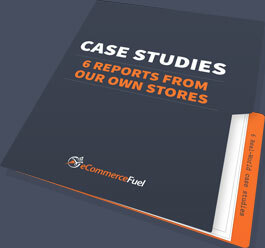 He burst on to the eCommerceFuel forum not too long ago and through his informative and actionable content, quickly earned a reputation for being the expert, the go-to email guy. Listen in to learn how X makes email work for you, regardless of the size of your business and your budget. With tips on platforms and the simple changes you can make that can drastically improve your revenue, this episode is one you can’t afford to miss. X’s 80/20 rule for email marketing. How X established himself as the go-to email guy on the forum. How to segment your email lists. The best email platforms for your price points. The 2-step process for success with email marketing. The top email campaigns you need to have. Looking to hire email support? Check out our post here. Congratulations to Jamie Maclean of PetalAndPost.com for winning this week’s eCommerceFuel shout out!